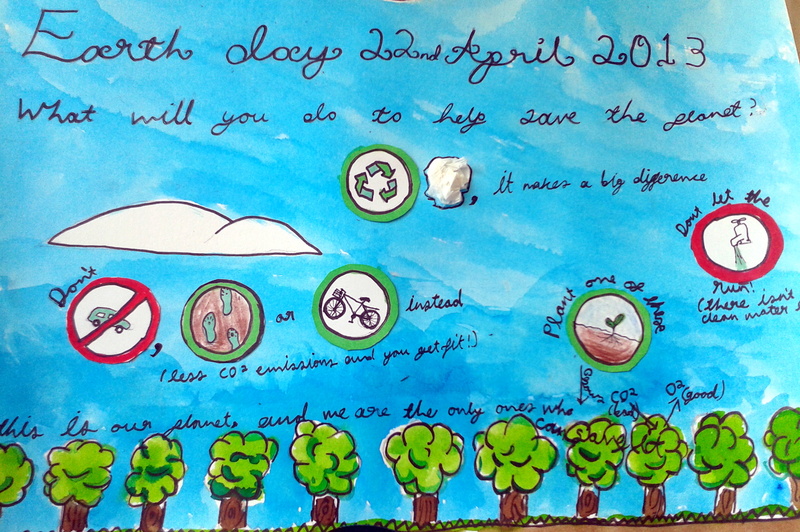 So, it’s Earth Day tomorrow! 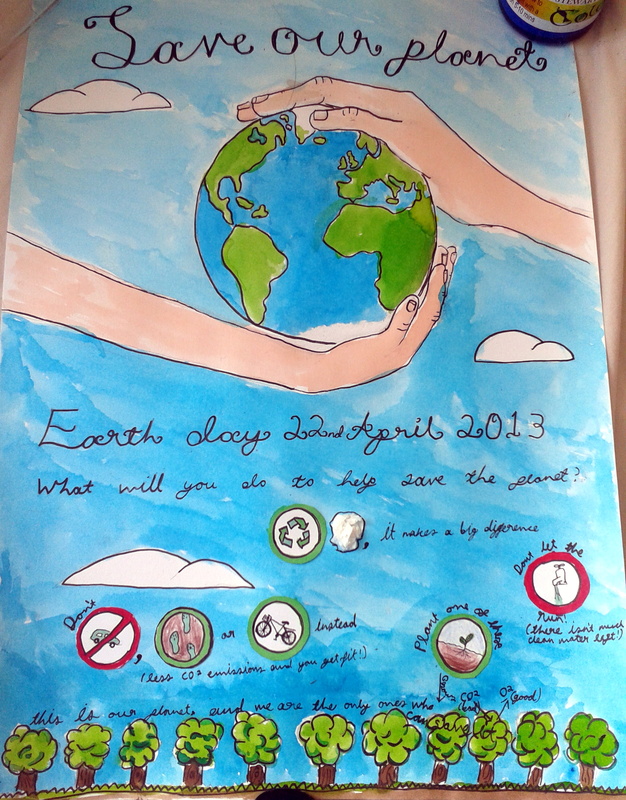 Here is a poster for it that I made for CSPE class in school. If I could, I would run off into the woods and live there forever. And also being 13 might hinder me a little. But, provided all this was already cared for, (yes, I know, no winter is a little too much to ask for) I would happily leave everything behind. Apart from my family and friends. But all this fancy technology, all the unnecessary consumption, greed, anger, all this useless stuff that we feel we need to live a good life, all of this rubbish and personal belongings, everything that we are destroying this earth with. I would throw it out my window and never look at it again. I just want to live mindfully, with nature, and not to scar the earth any more than she has already been hurt. Because everyone, everything, every little tiny thing, everything that we say will not make a difference, it will. Every little thing we do is cutting the world, cutting it so deep that the wounds will never heal. And I don’t want to be part of that. I want to help the earth heal her wounds. But the big problem is, is that everyone does. Everyone wants to save the world, every single person on its surface. But as we are such selfish creatures, we simply won’t make the effort to nurture nature and create a sustainable environment. If we do not make an effort now, it’s not in a few hundred years that our mistakes will take effect. For most adults, they will never have to face the true impact of our ridiculous consumption. And their children will definitely feel the impact of this bomb that we have set in orbit. They may die because of it, if we do not take action.